Engaging and enjoyable sequel of sorts, with exciting action sequences, a decent script and strong performances, though the plot occasionally gets a little bogged down and there's a disappointing lack of chemistry between Jackman and lead actress Tao Okamoto. 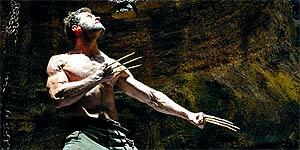 Directed by James Mangold, The Wolverine is the sixth screen outing for the adamantium-clawed Marvel mutant, following the three X-Men movies, a brief cameo in X-Men: First Class and a previous spin-off (2009's X-Men Origins: Wolverine). With a script based on a classic comics run for the character from 1982, The Wolverine picks up after the events of X-Men: The Last Stand, with Logan/Wolverine (Hugh Jackman) living like a hermit in the Canadian Northwoods and mourning the death of Jean Grey (Famke Janssen), who occasionally appears to him in dream sequences, dispensing negligee-clad wisdom. When Logan is tracked down by punky red-haired assassin Yukio (Japanese model Rila Fukushima), he's persuaded to accompany her to Japan, summoned by Lord Yashida (Hal Yamanouchi), a wealthy, dying industrialist whose life he saved during WWII. However, things don't go quite according to plan and soon Logan finds himself on the run with Yashida's grand-daughter Mariko (Tao Okamoto) and facing off against Mariko’s crime-boss father (Hiroyuki Sanada), various yakuza henchmen, an army of ninjas and forked-tongued mutant supervillain Viper (Svetlana Khodchenkova), who, as if things weren't bad enough already, manages to strip him of his mutant healing abilities with a poisonous kiss. Jackman, needless to say, knows this character inside out at this point and he's predictably brilliant as Logan, while Fukushima makes a strong impression as Yukio (she's so good, in fact, that you can't understand why Logan doesn't fancy her instead) and Khodchenkova puts in an enjoyably slinky turn as Viper. The film is also impressively shot, courtesy of cinematographer Ross Emery, who gets great use out of some authentic Japanese locations. Mangold proves a solid choice as director and does a terrific job with the fight sequences, eschewing rapid-fire editing in favour of single takes that ensure that you can actually tell who's hitting who. He also delivers some enjoyable action set-pieces, most notably a spectacular fight on the roof of a 300 mph bullet train (where those claws come in pretty handy) and an impressive sequence that features an audacious lift from Kurosawa's Throne of Blood. The main problem with the film is that the plot is needlessly convoluted, so it occasionally stumbles a little in the middle section, before being more or less jettisoned in favour of a climactic showdown between Wolverine and yet another Marvel supervillain. The film also suffers from a distinct lack of chemistry between Jackman and Tao Okamoto, none of which is helped by Janssen popping up in her night attire every few minutes. On top of that, the script could have used a dash more humour and Mangold never quite solves the problem that Wolverine's claws are essentially clipped by the 12A rating. The Wolverine is an enjoyable superhero flick that should please die-hard fans of the character, though it's slightly let down by some unclear plotting and a lack of chemistry between the two leads.